Simon has over 25 years of experience as a senior manager in education and assessment providing professional support to a variety of clients in the education, assessment research and training sectors in the UK and internationally. He is a respected senior leader with expertise in high stakes assessment programmes together with board-level experience. A former Director of Policy at OCR, Simon has managed a wide variety of projects, including designing and running training programmes, awarding body accreditation and recognition from regulatory authorities and the development of qualifications and associated assessments. He has a breadth of experience covering academic and vocational qualifications including apprenticeship development and delivery, liaison with Higher Education Institutions and writing and editing a range of materials for publication. External communications advice, policy development and managing stakeholder relationships to secure support for new initiatives have been a key feature of Simon’s work. He has in depth knowledge of assessment systems used across the age range, including curriculum and qualification design and quality assurance processes. Simon was a senior manager at the Qualifications and Curriculum Authority (QCA) during which time he held a number of posts including responsibility for aspects of the delivery of the Key Stage 2 test series (2006) and all Key stages (2007) from entry data through to issue of the final results. In 2008, Simon was given responsibility of developing and delivering support for senior managers in schools and colleges to implement effective quality assurance arrangements to deliver robust assessment of learners' work. 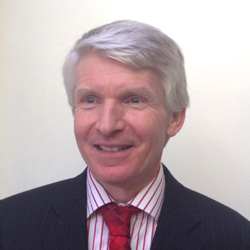 He has extensive experience of working with assessment professionals and during his time at QCA he was responsible for establishing a collaborative programme of work with awarding bodies to support the recruitment and retention of examiners and markers for GCSE, GCE qualifications and National Curriculum Tests. During this period, he supported the establishment of the Chartered Institute of Educational Assessors of which he is now Deputy Chair. Simon has significant experience of presenting to senior management teams and educational professionals on matters ranging from national policy initiatives through to verification of assessment processes and training for educational and assessment professionals on assessment methodologies used across academic and vocational qualifications.